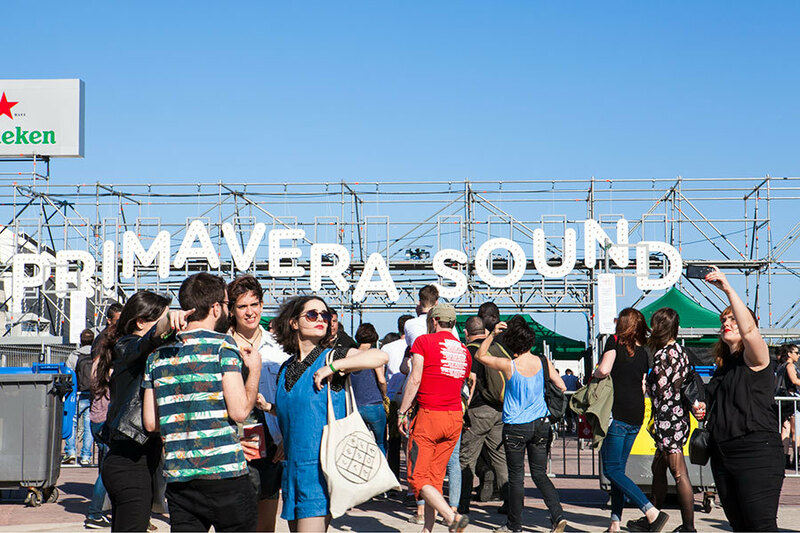 There are so many things to do in Barcelona in the spring, from the city's biggest marathon to the Guitar BCN Festival, as well as the massive Primavera Sound music festival. 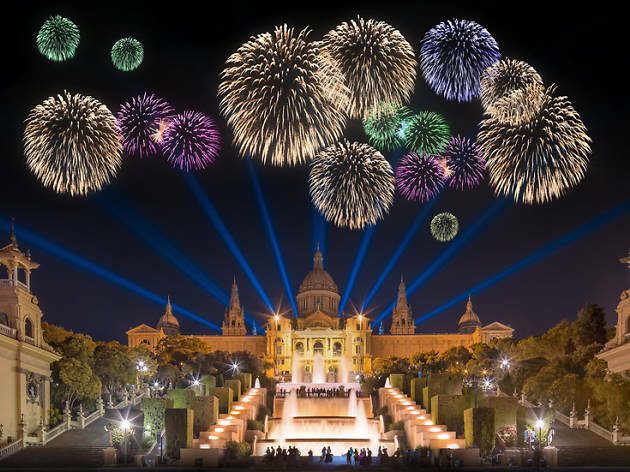 There's also the Sant Jordi celebration that fills the city with books and roses, the Earth Day Fair, a couple of film festivals, Easter week and more. This prestigious guitar-based music festival has the ability to attract world-class players. Styles span everything from flamenco to Latin sounds, classical guitar and gypsy jazz. On or around the feast day of St Emeterius (Sant Medir in Catalan), for almost 200 years colourfully decorated horse-drawn carts have gathered around the Plaça Trilla to ride up to his hermitage in the Collserola hills. The most popular element are the carts that circle the streets of Gràcia and shower the crowd with 100 tons of blessed boiled sweets. 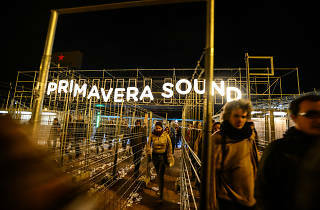 The International Festival for Digital Creativity and Electronic Music, which got its start in Montreal back in 1999, has been making sound waves in Barcelona. There's a Digi_Section daytime conference programme (Q&A sessions, workshops, demos) and of course electronic music every night. The Barcelona Marathon has been a Barcelona staple for over 40 years. The marathon course runs throughout the city streets, so you might want to check the website whether you're participating, watching, or just want to know where traffic will be diverted on the day. Some 300 different types of craft beer served in rotation from the bar's 50 taps, with 70 of the 300 from foreign brewers, and the rest, Catalan and Spanish, many of them being tasted for the first time in the country. The organisers have said the festival is akin to a living thing: beers that are served on Friday will be changed each day following. Most brands run between just €2 and €3. To accompany your drinks, there are also tapas, dishes, pasties, crepes, and cheeses. The beers are served at three different temperatures, with careful attention paid to the ideal service for each beer, and pulled by staff who are well trained in pouring a glass on tap. Easter for Catalans is a relatively sober affair, with none of the pageantry embraced by their southern cousins. The main event is the blessing of the palms on 'diumenge de rams' (Palm Sunday). Crowds surge into the cathedral clutching bleached palm fronds bought from stalls around the city; these are then used to bring luck to households. On Good Friday, a series of small processions and blessings takes place in front of the cathedral. On Easter Sunday, godparents dole out the 'mones': chocolate confections, more elaborate than humble Easter eggs. This is the weekend that comic and graphic novel aficionados have circled on their calendars every year. The International Comic Fair features four days of compressed activities, new releases and exhibitions in a 19,000m2 venue. The shows that the Mercat de les Flors has programmed for this 'Circus Today' cycle reflect modern trends and artistry in today's circus world that have little to do with what 'circus' meant in the past. This two-day 'World of Books' festival dedicated to the youngest readers, celebrates its 15th anniversary in 2019 with fun activities and readings to introduce children to the wonderful world of books. On the feast day of Sant Jordi (St George), the patron saint of Catalonia, nearly every building bears the red and gold Catalan flag, while bakeries sell Sant Jordi bread streaked with red 'sobrassada' sausage pâté. Red roses decorate the Palau de la Generalitat and the city’s many statues and paintings of George in all his dragon-slaying glory. It’s said that as the drops of the dragon’s blood fell, they turned into red flowers – and for more than five centuries, this has been the Catalan version of St Valentine’s Day. Men traditionally gave women a rose tied to an ear of wheat, and women reciprocated with a book; this is also ‘the Day of the Book’. It accounts for an amazing 10 percent of Catalonia’s annual book sales, and street stalls and bookshops give good discounts. 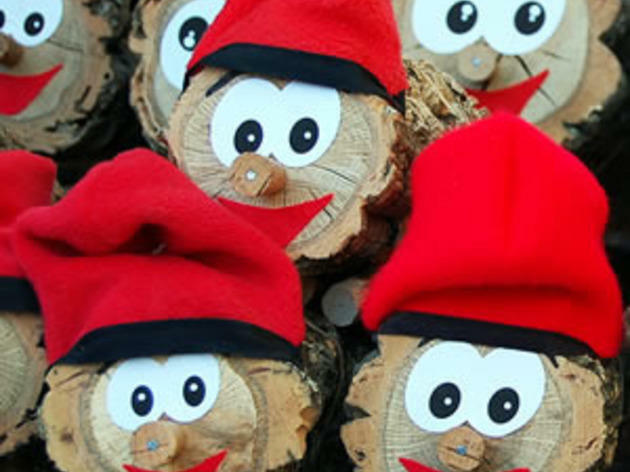 The Fira de la Terra is a two-day eco-festival to celebrate Earth Day (April 22), although it’s normally held on the nearest weekend to the actual day. There are handicrafts, food stalls and performances, along with talks on environmental issues, though most of the activities are aimed at children. 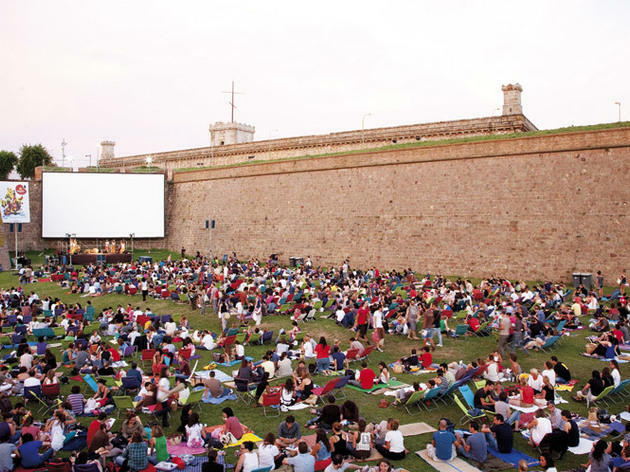 The Independent Film Festival in Barcelona isn't just about the chance to see films that you otherwise couldn't; it also focuses on the main concerns of contemporary cinema. The festival is also establishing itself as a springboard for Catalan filmmakers who bet their all to make where they call home a bit less small in the world of cinema. A pale imitation of Seville’s grand Feria de Abril, this week-long, sprawling and joyously tacky event is still a whole heap of fun, especially for fans of fried squid and candy floss. The rows of decorated marquees are a sea of polka dots, as young and old twirl on and off the stages, and onlookers glug manzanilla sherry and scarf some of the greasiest food imaginable. It’s great for children, and there’s a funfair. A day of demonstrations and marches led by trade unionists representing various left-wing organisations. The main routes cover Plaça da la Universitat, Via Laietana, Passeig de Gràcia, Passeig Sant Joan and Plaça Sant Jaume. The International Fair of Organic Products and Responsible Consumption is the most important of its kind in Spain. 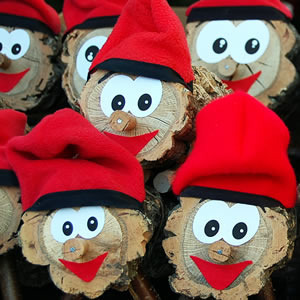 With hundreds of exhibitors, tens of thousands of attendees, and thousands of organic products, the fair includes products ranging from cosmetics and hygiene with certified ingredients; organic materials; eco-materials, furniture and home decor; renewable energies; therapies and medicines; recycling; environment and ecology; rural tourism; toys; arts; music; books and magazines. What the humble neighbourhood of Nou Barris lacks in landmark architecture, it makes up for with vim. Along with some great cultural programming, it has a very lively festa major, attracting top-notch local bands, along with the usual parades and street fairs. The Nou Barris flamenco festival runs concomitantly, and also brings in some big names. This poetry festival started in 1393 as the courtly Jocs Florals (Floral Games), named after the prizes: a silver violet for third prize; a golden rose as second; and, naturally, a real flower for the winner. The games died out in the 15th century but were resuscitated in 1859 as a vehicle for the promotion of the Catalan language. Prizes went to the most suitably florid paeans to the motherland; these days, Spanish is permitted, as are Basque and Galician. Many languages can be heard at the International Poetry Festival. A street market held in honour of the patron saint of beekeepers and herbalists, and ablaze with candied fruit, fresh herbs, natural infusions, honey and honeycomb, most of it straight off the farmer’s cart. 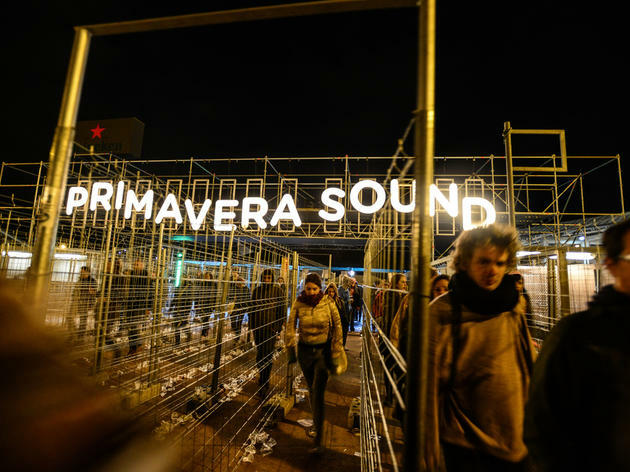 The Primera Persona Festival is dedicated to writers of literature and music who employ the first person singular and their own experience as raw material for their work. This year the festival is even bigger, with more performances, shows, concerts and monologues than in the two previous editions. The European Night of Museums is an initiative promoted by the Council of Europe, with more than 3,000 participating museums. It takes place the night before International Museum Day (see below), a day that brings together more than 30,000 centers worldwide with the aim of raising public awareness about the role of museums in the ongoing transformation of society. Masterminded by the International Council of Museums, this worldwide day of free museum entrance has an annual theme with related activities. Note that the recommended date is May 18, but this can vary from year to year. 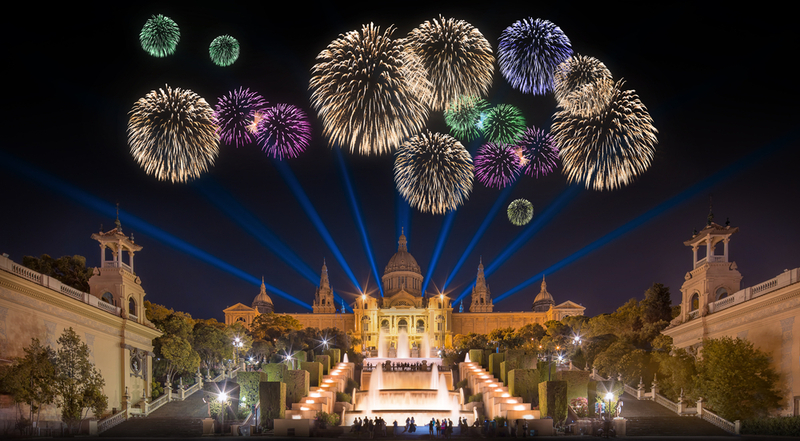 La Nit dels Museus is a newer initiative, where more than 60 museums offer free entry on the previous night from 7pm to 1am (see above). The local government puts culture all around the city with a week of poetry in Catalan, including readings and prizes. Mercat de les Flors dedicated the Ciutat Flamenco festival of 2013 to Carmen Amaya with a full year of celebrations and the inauguration of the Sala Carmen Amaya auditorium. The Mercat has a contemporary, transcultural and universal vision of flamenco, featurng performances by new artists, dialogue between music and dance, artistic residencies, 'tapeos' and more, in order to examine and bring up to date the tradition and future of this art. Organised jointly by Mercat de les Flors and Taller de Músics, the festival presents the most innovative face of flamenco, opening the traditions up to new interpretations while maintaining flamenco as an art deeply rooted in the culture. 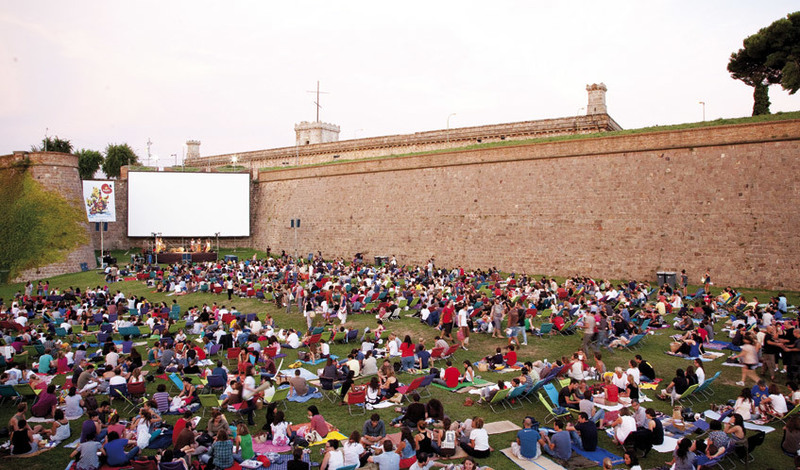 DocsBarcelona is a film festival that's all about documentaries from around the world. More than just watching documentaries, there are also pitch forums for works in progress, master classes, conferences, and more. In a Pentecostal tradition dating back 150 years, more than 20 choirs of workers parade through the streets of the neighbourhood in elaborate costumes garlanded with objects typical of their profession – nets and oars for a fisherman, cereal boxes and sausages for a grocer – on the Saturday morning before Whitsun. They then pile into coaches and take off on a weekend jolly, returning for more parading, fireworks and revelry on Monday evening. 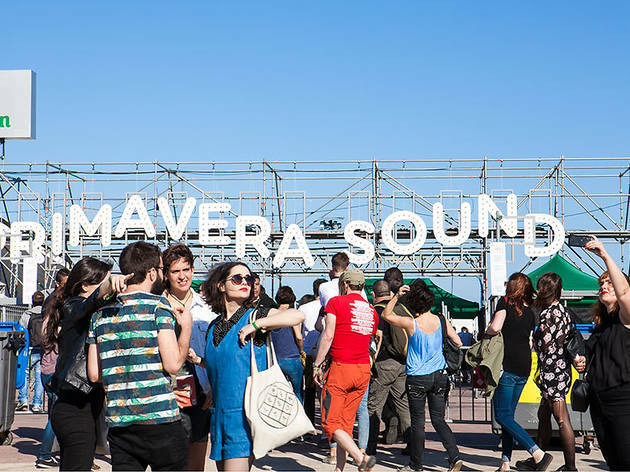 This three-day, six-stage music festival is one of the best in Spain. Credit for its success is due to its range of genres. There are rafts of electronica acts, DJs and local bands, plus a record fair and the Soundtrack Film Festival. The 2019 line-up is all about equality, with more female acts taking the stage than ever before. Huge names have played on the stages in previous years, including Nick Cave & The Bad Seeds, Belle & Sebastian, The White Stripes, Belle & Sebastian, Sonic Youth, My Bloody Valentine, Pet Shop Boys, Pavement, PJ Harvey, Fleet Foxes, Yo La Tengo, Björk, Franz Ferdinand... Get your tickets early (they go on sale practically right after the previous edition ends, and before any names are announced) to save a lot of money, as the price goes up regularly as the event date nears. 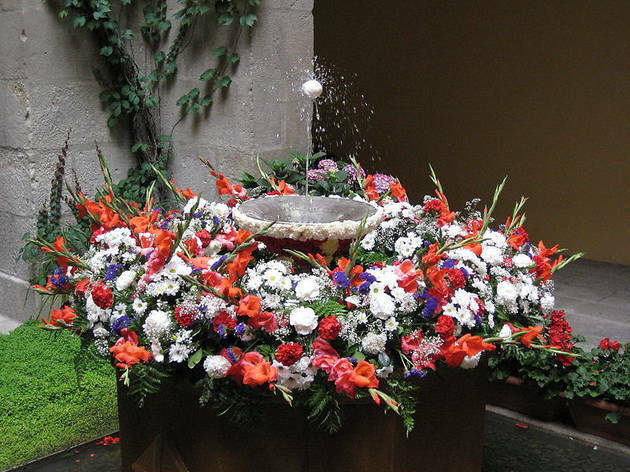 L’Ou Com Balla (the 'dancing egg') is a local Corpus Christi tradition dating from 1637: a hollowed-out eggshell is set spinning and bobbing in apparent perpetuum mobile on the spout of various fountains garlanded for the occasion with flowers. The Sunday Corpus Christi procession leaves from the Cathedral in the early evening; on the Saturday, there’s free entry to the Ajuntament, the Palau Centelles behind it and the Museu d’Història de Barcelona, along with 'sardanes' (circle dances) at 7pm outside the Cathedral. Aimed at children, this vibrant one-day festival fills the Ciutadella park with concerts, workshops and circus performances. Games and entertainments run from snakes and ladders to a towering wall for rock-climbing.